Stadio Marc'Antonio Bentegodi stadium in Verona, Italy, is the home of both Chievo Verona and Hellas Verona football teams of Serie A and Serie B respectively. 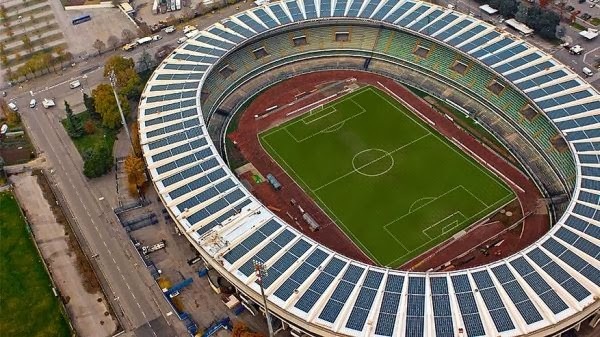 What's interesting is that the dome of Verona’s Bentegodi stadium has now become the largest photovoltaic sports complex roof in Italy. PV solar panels with a total installed capacity of 1MW help reducing annual C02 emissions by more than 550 tons. Commissioned at the end of November 2009, there are a total of 13,321 thin-film cadmium telluride (CdTe) solar modules on the rooftop, mounted on aluminum mounting system. It uses 141 SMC 7000HV inverters to 'collect' power. Bukit Jalil Stadium is among the Top-10 largest football stadium in the world. Top spot used to be Estadio do Maracana in Rio de Janeiro, Brazil, although it had been reduced significantly after redesigned. 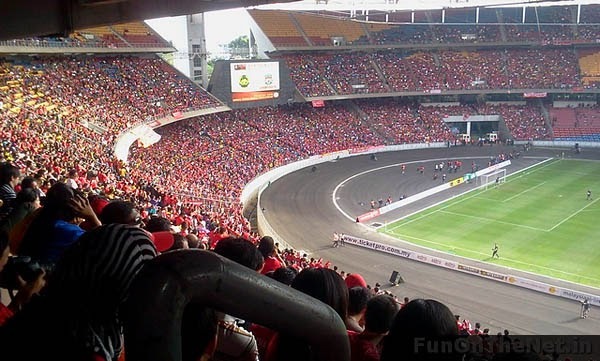 100,000 capacity Bukit Jalil National Stadium is bigger than Manchester United's Old Trafford. 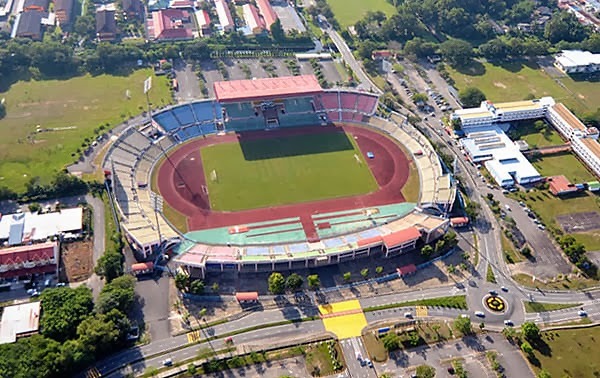 This is something to think about for the 100,000-seat capacity Bukit Jalil Stadium, or the 35,000 capacity Likas Stadium in Kota Kinabalu. By comparison, Verona's Bentegodi stadium capacity is 38,400 - not too far different from our humble Likas Stadium. We are not asking that our stadiums be covered or shaded with solar panel; it's just an idea. It's good for space saving and at the same time provide clean power for the sport complex.